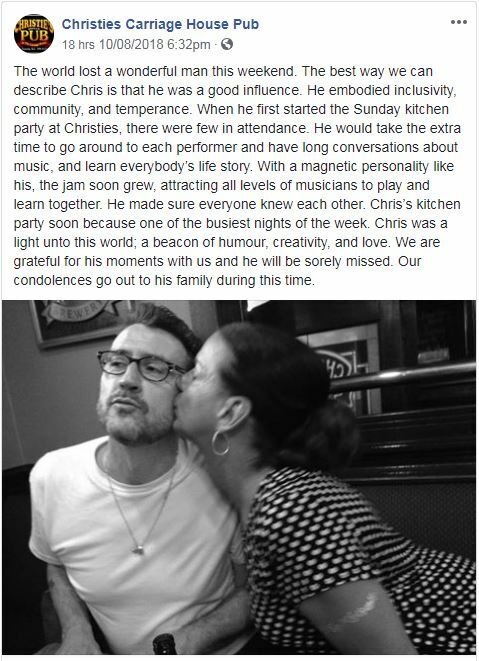 Victoria musician Chris Trigg has died. He was 56. In a statement posted October 8, 2018, Trigg’s wife Carola said, “It is with a very broken heart that I have to let you know that my husband, Chris J. Trigg, passed away last night surrounded by family. As some of you may know, he was diagnosed with cancer last December and he recently started chemotherapy which devastated his immune system that then led to him contracting a very severe form of pneumonia that his body was not able to fight off. Chris Trigg was a vocalist and guitarist for a number of bands including Dr. Strangelove (former house band for Vancouver’s The Roxy), The Benders, Victoria classic rock cover band Ginsu Knives that performed a number of times at Swan’s Pub, Hummingbird Deluxe, former Victoria band The Shattered Hearts that performed Thursdays at Canoe Brewpub in 2013, and Light Sweet Crude. In 2014, Trigg organized a benefit concert for One Day, a social event in Victoria for people with special needs. His stepdaughter was born with a genetic condition and Trigg used music to help her learn to speak. 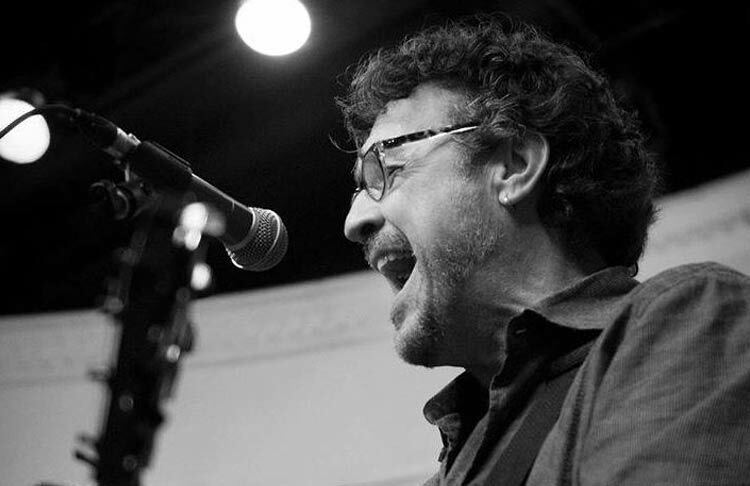 He was the Director of Programs and Fundraising for The Mighty Hughs Foundation, a non-profit organization dedicated to providing ongoing therapeutic music programs to the special needs community. In August, the foundation helped the Rock For A Reason benefit concert raise $47,000 for the BC Cancer Foundation. If you ever went to Christie’s Carriage House Pub on a Sunday evening, Trigg was the host for the pub’s Sunday Kitchen Party, a weekly jam night started in 2016. Christie’s Pub statement on Chris Trigg.